Carolyn Maddalena-Maloney: Reiki Practitioner, Teacher and Inner-Wisdom Coach. It is my mission to help you create an abundant, self-empowered life. Take control of your wellness and enhance your well-being; mind, body and spirit...through positive action today! My Guru Me: Are you in the 72% ? 72 % of Australians have used Complementary therapies in the last 12 months! And 39% have visited complementary therapy practitioners in the last 12 months. I know I was! I need my Energy Therapy fix every day; Reiki is my therapy of choice and I credit this practice for my sanity, peace of mind and for my ability to stand in my own power and use it - every day. It has also supported my well-being mind, body and spirit throughout my husband's cancer diagnosis and on-going treatment. It is a tool I relied on to support and comfort him and our two children throughout this trying time and will continue too. Our children have never lived in a world without Reiki; as I became a practitioner before they were conceived, used it on them in utero and throughout their lives. I taught them the tools and techniques of practice when they were ten, and now they have the ability to use it independently. They do, often - they are twelve. If you aren't in either the 72 or 39 percenters here...I highly recommend you give it ago. With such a broad range of therapies now available in our country...there really is something for everyone! As you may know already, my mission statement is: creating wellness mind, body and spirit...through positive action today! When I received my first Reiki treatment many years ago, I knew it was something that I wanted to pursue. It was the most peaceful, relaxing hour that I had ever remembered experiencing. Although I felt like I was asleep, it was more a deep meditative state where I had become blissfully aware of every muscle, every cell and every breath I took. And yes; I was attuned to this beautiful system of connection within weeks of that first experience. I didn’t become attuned to Reiki because I had a desire to heal others though, as admirable as that would have been. I originally did it for me; because of how good I felt after that first treatment, and because it was going to be far more cost effective if I could treat myself. 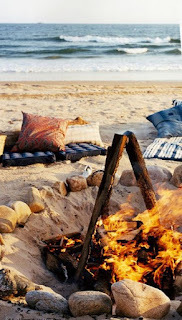 Then I started to treat family and friends and found that they all enjoyed the deep relaxation and natural, gentle energy touch therapy as much as I did. Nine months after my second attunement our twins were born; and they have never lived in a world without Reiki, even receiving this beautiful energy in utero. It is a practice I have always used to soothe and comfort them when unwell or upset. Now that they are connected themselves they self-treat if anxious or unwell, a great technique for them to use around exam times, sports carnivals, giving speeches ect... It is something they have also sometimes used on their Dad throughout his cancer treatment and recovery; giving them a tangible way of feeling like they are helping him. And they definitely are. The practice of Reiki really is for everyone. Although I love helping others experience this beautiful expression of love in flow; by giving hands on treatments, I feel that empowering you with the ability to support your own health and wellness mind, body and spirit, by sharing with you the supported self-healing and relaxation techniques of Energy Therapy is more important. I have found through experience that it is easier to help others when I am at the peak of wellness myself; whether that is helping my family or a client, and that the daily practice of connecting with my inner energy and wisdom helps me to achieve the balance required to maintain overall wellness. It makes sense to me that that would be the same for most of us. I would dearly love to help you create an abundant life by helping you to enhance wellness; mind, body and spirit for yourself...through positive action today! It is really easy to fall into a pattern of placing all of our focus on what we think is wrong, or not happening the way we would like it too in our life. Therefore we go about trying to fix that one thing. Sometimes allowing it to consume our every thinking moment. If you find this happening in your life why not try a little shift in perception. Instead of trying to fix just that one particular thing, why not try to enhance your overall well-being. Bring about greater balance as a whole; mind, body and spirit. Allowing clarity, awareness and acceptance of what is, to follow. 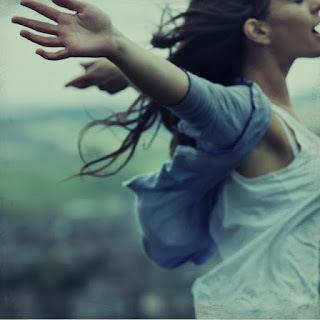 Enjoy a sense of peace and joy when choosing to let go just a little and let life unfold as it should. That one issue may simply dissolve organically if you allow it too, or you may start to see the outcome in a different light. Do what makes your heart explode with joy...as often as possible! Live your very best life.... Now! It strengthens the mind, body & spirit connection. It encourages you to slow down. It brings you back to Now. It induces a deep sense of relaxation, the bodies optimum condition to self-heal. Not so long ago I read the following: "The body you have now is it! This is the body that will carry you throughout your entire life." And it really made me stop and think! The body you have now is it! This is the body that will carry you throughout your entire life. It is a simple truth... So now is the perfect time to take up one or more of the many practices available, that can help to support your complete wellness; body, mind and spirit for your whole lifetime and you can make a start today with Reiki Practitioner, Teacher and Wellness Coach, Callie Maddalena-Maloney. It is time to empower yourself with the ability to be the first responder when it comes to your own health and well-being. Learn how to reconnect with self; mind, body and spirit with daily practice using simple relaxation techniques as you enjoy the wonderful healing art of Reiki Practice that enhances your own energy supply and connects you to the abundant flow of the energy that surrounds you. My Reiki Connection is a very practical system of relaxation techniques that can be implemented into your everyday life to help you with pretty much every aspect of being. From the simple principles and precepts of Reiki practice to the connection and relaxation techniques, that when honoured as a daily practice aid your ability to remain present and self aware, accepting of what is and gives you the tools to enhance low energy levels and overall wellness. 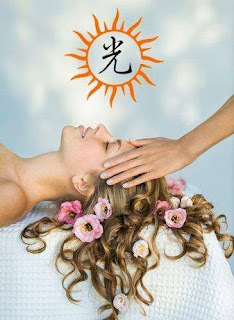 Reiki truly is beneficial to all of us. Reiki should never be limited to a system used only by mystics, those interested in metaphysics or who have a unique calling toward healing work. Everyday people like you and I benefit greatly from the daily practice of connecting with and using Reiki Energy, it really is for everyone. Reiki is simply energy, reiki practice is learning and mastering a system of tools and techniques, precepts and principles to enhance your own energy and that of others to support the body's own innate healing ability, through acquiring at the very least a deep sense of relaxation and self awareness through presence. If you are not yet ready to commit yourself to personal practice you can achieve great results through Reiki sessions with a qualified practitioner, for best results however you need to understand that although just one single treatment will usually have you walking away feeling relaxed and refreshed; as with any wellness enhancing practices. In my experience it is highly unlikely that you will come away with a miracle cure for all that ails you after one session alone of any beauty, health or wellness practice. If you are unfit and decide you need to go to the gym to improve your fitness, you don't walk away fit and strong after one session. If you choose to have your hair coloured to cover up a few stray greys, a single session with your colour technician will not keep them at bay forever. If you are looking to achieve some inner peace or to alleviate symptoms of stress or anxiety I doubt a single Reiki session will get you there all in one go. Each of the above scenarios have one thing in common, and that is a commitment to an on going practice is required to receive the best results. They also have a glaring difference; the first two are more obvious to yourself and others through the eye as they are seen as being outer beauty related. The third is more subtle and will at first be more obvious to you, but make no mistake others will always notice your inner health and beauty. All that being said; there is no better reason for any regular practice than to enhance your own health, well-being, peace and happiness. The most important person you will do it for is you, and then maybe also to be a shining example of wellness; mind, body and spirit for others to aspire too. and repeat at least twice daily, see very simple. 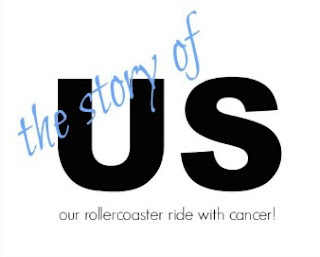 Now that we have successfully launched The Story of Us; a purpose built blog to share Brendan's ongoing recovery from Pleomorphic Sarcoma - calliemm is returning to it's original blog format as a social site for my Reiki and Inner Wisdom coaching Service. 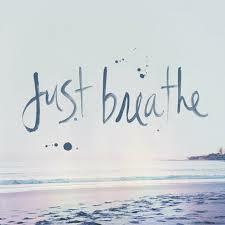 I am currently on hiatus while helping my husband fight this insidious disease that is cancer. We look forward, very much, to a time when we can put this chapter of our lives behind us... and get back to working on the start up businesses we were developing when Brendan fell ill.
We are now 12 Months on from Brendan's diagnosis and one week out from his next round of Chemo; things are about to ramp up into being incredibly busy in our home again. This round will take 9 weeks to complete before we know how successful it has been, and Brendan's amputee clinics will, we assume, be a life long...on going commitment. Which makes now the perfect time to wind calliemm down and say thank you to everyone for following Brendan and our little families journey. The positive energy that you have all surrounded us with has been fabulous, I cannot tell you how important it has been in keeping our spirits high. 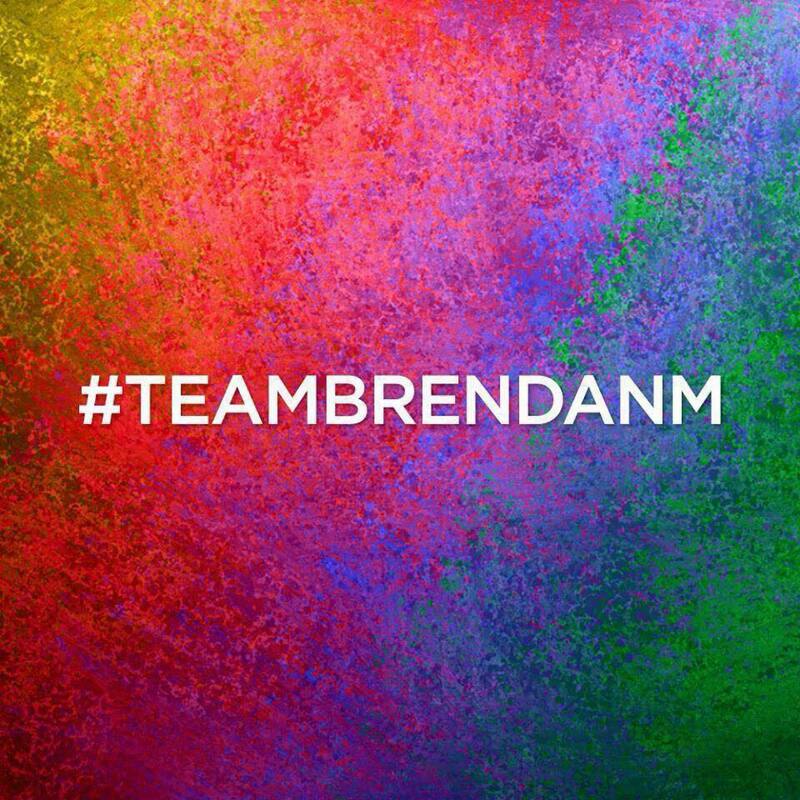 We will continue to keep you updated through Brendan or my facebook profiles as we can. http://calliemm.blogspot.com.au/ will close at the end of the month. #teambrendanm: have shown us unwavering support. I live in a beautiful little seaside village with my husband and our two children; four hours drive from where my husbands cancer treatment takes place. The treatment is at a purpose built cancer hospital, and at that hospital on any given day, we see scores and scores of people that are living a story similar to ours. It really is heart wrenching. I find myself hoping that everyone going through a journey like ours are receiving the same amount of support that we have been blessed with, by our beautiful community. My heart sinks as I look around me in this city hospital, and feel this is probably not the case in larger areas. Without a doubt our local community has my families back. This is not a one of thing where this small community is concerned; I watched and participated in this same level of support shown to another local family who faced their own cancer journey, not so very long ago. I just didn’t know at the time that it would be my family next. So when a friend told me about a conversation that he had had recently, where he was asked if others would get the same level of support from the community that my husband and our family have had, my answer was absolute. Yes! Without a doubt yes! I think they would. The support we have been shown comes from a community where we know each other. We know our neighbours, and we say hello to each other in the street or at the local shops, a lot of us know each others family and friends, or are friends of friends. We understand that a strong community is one that looks out for each other. My husband and I have always known what a good choice it was; when we decided to make our home here. I am a life long local of the Manning Area, my husband moved here when he was seven, we know the heart of the people here match the beauty of our surroundings. We just never expected that we would be shown that heart in such a profound way. We thank goodness every day for the love and generosity, heart and spirit of the community that surrounds us. PS: If you need support please reach out … you are sure to find that you are never alone. Saturday 28th: March 2015... a new adventure begins on Tuesday. Monday 31st; March 2015 ...life with one leg begins. Things I didn't know that cancer could do….but wish someone had told me! Cancer and hanging on to the normal things.